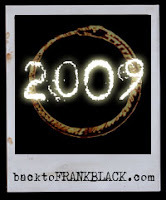 BACKTOFRANKBLACK.COM: Happy New Year from BacktoFRANKBLACK! Happy New Year from BacktoFRANKBLACK! With the media, fans and industry back in the New Year, we'll forge on once more after a pleasant gap for the holidays! We have more from Lance, more from other Millennium crew, some new interactive ways for the fans to help us speak out, some competitions and hopefully - more media and industry interest in our cause! Since our website update we've seen our newsletter sign-up rate increase - so that's encouraging indeed and our myspace page continues to gain more friends! Feel free to join either group! We'll be sending out a newsletter this week and updating our blog with specific news - so keep an eye out! For 2009 we really want to showcase the fans far more than we have done so before - we've had such encouraging feedback we want to make sure we truly are a platform for the fans to speak out! Remember - send FOX your letters! It is the BEST way to make yourself heard and to show FOX you really do care about the show! On a personal note - go purchase the extended X-Files: I Want To Believe DVD/Blue-Ray. It really is a fantastic film and worth of support from all Carter fans! 1 Response to "Happy New Year from BacktoFRANKBLACK!" Happy New Year to all of you. Since finding out about your campaign I have been incredibly impressed by your hard work, devotion to the cause and the exclusive content you have brought us has been very enjoyable for a Millennium Fan who thought all the news was old news. Congratulations so far and here's hoping you have a successful 2009.